A strategic location for global cloud connectivity and reach. Access corridors to all major U.S. connectivity points. Meet the first Arizona data center to be embraced by Amazon. Leverage dedicated access to Amazon’s cloud services. High-power bandwidth and network resources available on demand. PhoenixNAP’s purpose-built, enterprise-grade facility gives you access to all power, network, and bandwidth resources you need! High-Density Design. 100% Environment Stability. 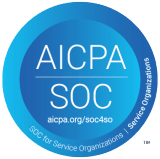 SOC Type 2 Audited and HIPAA-Ready Colocation Provider. The significant network connectivity of the area and robust data center technologies ensure your data available and secure. Achieve a controlled, highly available, and secure global footprint. PhoenixNAP’s Arizona facility is located in a disaster-free environment and follows the highest standards for data center facilities. It provides access to all major internet exchange points across the United States and worldwide. PhoenixNAP’s server colocation services provide you with space, power and cooling on demand. A variety of managed services is also available to support your needs and desired configurations. Get access to a high-performance grid with power density per rack of up to 44 kW and ensure geo-redundant power for your data and applications! The airport vicinity and the Computer Data Center Program (CDCP) incentive further make phoenixNAP an ideal location for your business. CDCP is a state-wide regulation exempting qualified data center providers, operators, and tenants from different taxes for purchases of data center equipment. That means that Arizona-based colocation data centers can cost you significantly less than those in most other United States regions! A premium blend of connectivity provides you with consistent global Internet coverage. Optimal stability and value per square foot with the ability to lease the servers you need. Airport proximity and instant corridor to the U.S. North, West, South, and East. Want to learn more about our connectivity options? Arizona’s First and Only AWS Direct Connect Location! The only data center in the state providing a dedicated connection to Amazon’s cloud services. Learn more. Need a private network for your business-critical data and compliance workloads? Establish a dedicated link to Amazon’s cloud services directly from phoenixNAP! As an AWS Direct Connect edge location, phoenixNAP’s flagship data center enables private data transfer to Amazon cloud platform. Circumvent the public Internet. Keep your sensitive and compliance workloads away from public networks. PhoenixNAP’s Arizona colocation facility is ideal for companies with heavy regulatory and compliance requirements. Isolated networks ensure superior data privacy. Secure your workloads with phoenixNAP. Overcome budget constraints with competitive colocation pricing and a reduced data transfer rate. Gain a competitive advantage with improved data monitoring, consistent network performance and low latency. Need a private internet exchange? Available at six strategic locations across the US, Europe, and Asia! PhoenixNAP’s carrier-diverse colocation network includes dozens of bandwidth and telecom service providers. All colocation tenants can choose their preferred carriers or leverage phoenixNAP’s premium bandwidth blend. Each facility provides options for dedicated server leasing and the setting up of a private server environment. Managed hosting, cloud, and security services are also available on demand! Stay in control of your server configuration and upkeep. 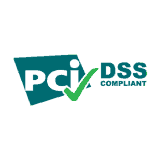 Leverage enterprise-grade, compliance-ready IT solutions. PhoenixNAP’s colocation hosting helps you build a sound foundation for your company’s IT system. For options at our Seattle, Chicago, and Frankfurt locations, contact our experts! Scale your IT capacity as your needs grow while keeping costs within the budget. House and backup your mission-critical environments in a secure off-site location. Save on business space and utility power costs, while ensuring full redundancy and maximum safety of your data. Advanced cloud computing and hardware resources available with phoenixNAP server colocation services ensure always-on availability of your systems and applications. An array of additional services is available to help you take advantage of new growth opportunities. Looking to expand your IT capacity with additional hardware? Expand your colocation environment anytime. PhoenixNAP’s hardware-as-a-service lets you add a single web server or multiple racked servers anytime! Is your company leveraging remote employees, outsourcing, and multiple tiers of users? Can you protect your valuable data in case of disasters? Setting up colocation for your disaster recovery solution keeps you online and in business 24/7/365. You can back up your critical data to another location or mirror environments with a hot cutover. PhoenixNAP also provides support for tape or drive swaps for archival storage. Manage your IT without having to set a single foot in the data center! Get access to a variety of managed security and support solutions tailored to your infrastructure and staffing needs. Each phoenixNAP’s location maintains full-time technicians and engineers. We will streamline the installation and maintenance of your colocation footprint, and to help you connect. Start Setting Up Your Colocation Environment Today! Get the details about our colocation pricing and setup options. Data center colocation pricing model at phoenixNAP adjusts to your needs. Choose your location and choose from locking ¼, ½ to full cabinets or a private cage environment today. If you need further information about our data center locations, available cages and racks, or physical security, feel free to reach out to our solution experts at sales@phoenixnap.com! Ready to set up your infrastructure? Just fill in the form below, and we will send you the details about our colocation hosting pricing.